I visited Blackpool in January. Carla was dancing along with some incredibly talented boys and girls at a dance competition in this iconic West Coast town, Blackpool, the home of dancing. Now our team weren’t dancing in the Ballroom but my twinkle toes sneaked next door for a sneaky peak and afternoon tea between the shows. It’s hard to gauge any seaside town off season. Having grown in down the coast I know how miserable it can be outwith the Easter and summer holidays before the crowds head down in their thousands. But January helped by that horizontal rain and gale force winds that Scotland and clearly England do so well was a cold and frosty experience. It took 3 of us just to open the door to leave the ballroom and we weren’t in hurry. Despite the grey and the gloom of the weather and the sad sight of several shops lying empty and derelict the glory of the Strictly Ballroom wasn’t tarnished. It is as beautiful as Darcy and Bruno’s sparkly costumes. The professionals were out in force. Poise posture grace. It is wonderful that these people have learnt a craft and continue to exercise it. Viennese Waltzes, Foxtrots, Tango all executed to perfection. The majority of the dancers were trim, beautifully dressed, having fun and mostly over 70. But the style and grace was timeless. If their cook counterparts were analysed they would be judged in the same league. They’d have learnt to make soups, stews, casseroles, souffles and perfect steam puddings. The Ballroom was brimming with people who had learnt to dance and they’ve danced all their lives. If you learn to cook you’ll be cooking with style all your life. My parents were fabulous dancers, most of my siblings are equally proficient. I was never old enough to go to the dances, and when I was, the discos had taken over and while I can boogie to Bananarama I’ve not got what it takes to glide and float like Anton or Pasha. My mission is not to allow our cooking traditions to be lost. 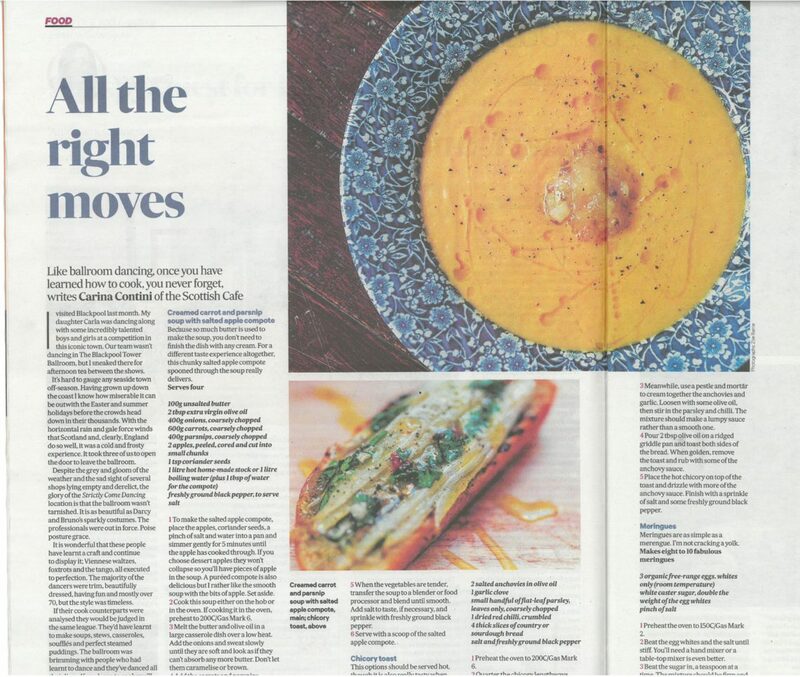 Let’s bring back the ballroom and the stockpot and lets all keep cooking……. Cook this soup either on the hob or in the oven. If cooking it in the oven, preheat the oven to 200ºC/400ºF/Gas 6. Melt the butter and olive oil in a large casserole dish over a low heat. Add the onions and sweat slowly until they are soft and look as if they can’t absorb any more butter. Don’t let them caramelize or brown. Peel, core and cut the apples into small chunks. Place the apples, coriander seeds, salt and 1 tbsp water in a pan and simmer gently for 5 minutes until the apple has cooked through. If you choose dessert apples they won’t collapse so you’ll have pieces of apple in the soup. A puréed compote is also delicious but I rather like the smooth soup with the bits of apple. It reminds me of a starry sky! Because so much butter is used to make the soup, you don’t need to finish the dish with any cream – but of course you can if you’re looking for a little more luxury. 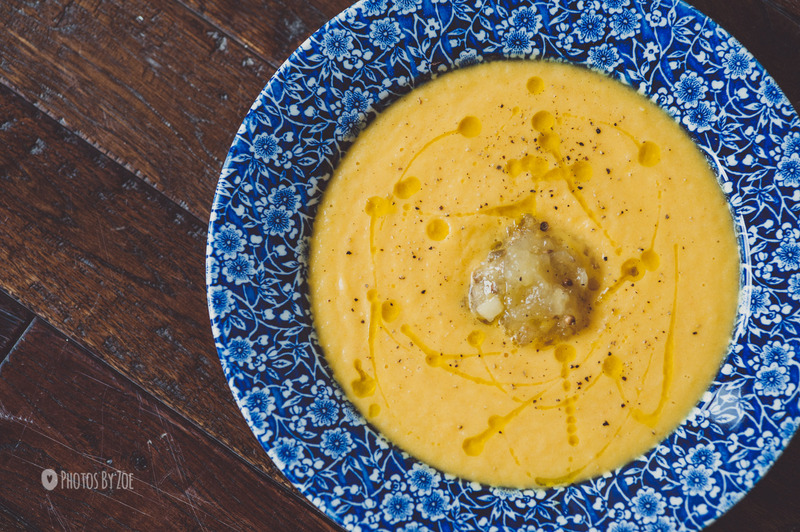 Or, for a different taste experience altogether, this chunky salted apple compote spooned through the soup really delivers. Preheat the oven to 200ºC/400ºF/Gas 6. Quarter the chicory length ways, then quarter it again. Lay the quarters in an ovenproof dish and drizzle with a little olive oil, the honey and a generous sprinkle of salt and freshly ground black pepper. Roast in the preheated oven for 10 minutes, or until the chicory has wilted. Meanwhile, use a pestle and mortar to cream together the anchovies and garlic. Loosen with some olive oil, then stir in the parsley and chilli. The mixture should make a lumpy sauce rather than a smooth one. Pour about 2 tbsp olive oil on a ridged griddle pan and toast both sides of the bread. When golden, remove the toast and rub with some of the anchovy sauce. 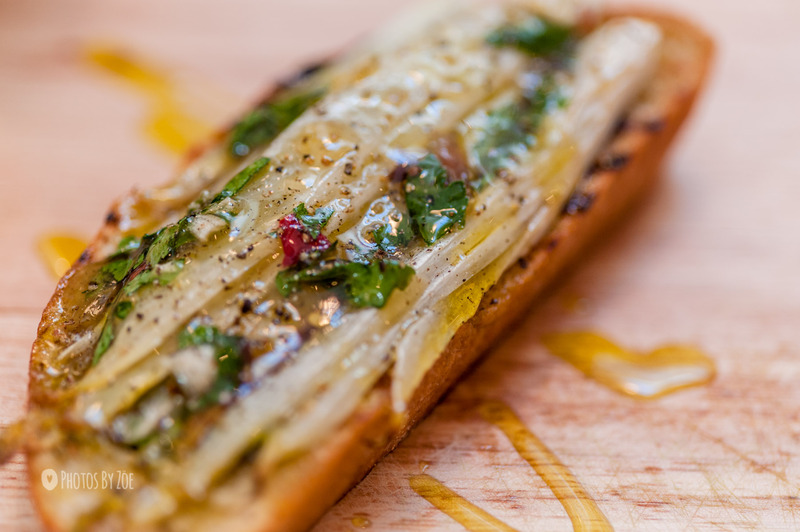 Place the hot chicory on top of the toast and drizzle with more of the anchovy sauce. Finish with a sprinkle of salt and some freshly ground black pepper. Serve hot, though it is also really tasty when eaten cold. Meringues are a simple as a meringue……. Look it up if you think I’m cracking a yolk! Beat the egg whites and the salt until stiff. You’ll need a hand mixer or a table top mixer is ever better. Beat the sugar in a teaspoon at a time. The mixture should be firm and light. Spoon small ladles of the mixture onto a baking sheet lined with parchment. Place in a pre heated oven gas mark 2 and turn the oven off. Leave in the oven for 1 1/2 hour if you like them chewy or over night if you like the meringues dry.